Multi-deck online blackjack is largely considered to be the most strategic game in the online casino world, and it's hard to fault the people who think that since it's generally true. There are so many different styles of real money blackjack out there that you could take several years of your life studying the games and still not understand them on a perfect level. With that having been said, you can definitely focus on learning advanced topics in the most basic forms of the game and drastically improve your payout rates beyond what only focusing on the basics will get you. Along those lines, we're going to dig a bit deeper into strategy than what you would normally find in a blackjack guide for Internet play to show you the types of things you should focus on if you're looking to play multi-deck games as well as you can. Something that we've had issues with for a long time is that every list of blackjack tips seems to either completely ignore the option to surrender or advises doing it entirely too often. The fact of the matter is that there are only four specific situations where you should always be surrendering, and there are a handful of others that can come up sometimes depending on the exact rules of the game you're playing. If you have a hard 16, then you should surrender when you're facing a nine, ten or ace. These are the worst situations to find yourself in, so it makes sense that blackjack players would understand that surrendering here is a good idea. However, the only other situation you should be surrendering in at all times is if you have a hard 15 against a 10 (and not an ace). Players tend to surrender entirely too much of the time, so this is something you should really practice in free blackjack games to break the habit of surrendering in other spots if you do it. There are a few other spots where you can surrender in certain situations. If you're in a game where the dealer hits on a soft 17 instead of standing on a soft 17, then that changes things for you a bit, and not for the better. You have to compensate in part by surrendering in a few new spots. When the dealer hits on a soft 17, you should surrender when facing an ace when you hold a 15. However, you should also surrender when you hold a 17 facing an ace, which surprises a lot of people. Finally, if you have a normal game, that is when the dealer stands on a soft 17, you'd normally split a pair of eights instead of surrendering. However, if the dealer hits on a soft 17, you should go ahead and surrender in those spots as well. Note that this is getting down to some very specific situations, but that's the nature of advanced play in blackjack. The general rule for doubling with soft hands is known as the rule of 23. When you're facing a weak dealer card of two through six, if you take your hand total and add twice the dealer's card to it, then you should double if that total comes to 23 or more. This generally applies to hands with soft totals of 12 to 18, and it's a rule that will have you playing perfectly with soft hands when it comes to doubling in games where the dealer stands on a soft 17. But what if the dealer hits on a soft 17? In this case, there are actually two more spots you should double in that aren't covered by this rule. If you have a soft 18, and you're facing a 2, that would give you a total of just 22, but you should go ahead and double anyway if the dealer hits on a soft 17 in whatever version of online blackjack you're playing. In addition to that, you should double a soft 19 when facing a six. I know it's tricky to think about doubling with a 19 in any situation, but it's this level of advanced play that you won't find in most sets of ordinary blackjack tips. Most players who study real money blackjack strategy fall into a trap of primarily studying hard and soft hands while ignoring how to split well. 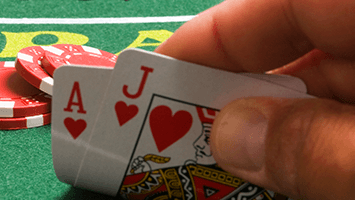 This blackjack guide is going to cover how to split in different situations, regardless of how the dealer handles a soft 17 situation, in multi-hand blackjack games. You should practice these spots in free blackjack applications before playing for real. If you have aces or eights, you always split (except for eights against an ace when the dealer hits a soft 17). For fives and tens, you never split. Nines are tricky to play because they have an atypical strategy. You should split if you're facing a six or lower, stand on a seven, split against an eight or a nine, and stand against a ten or ace. The reason for standing with paired 9s when facing a seven is that the dealer can easily make a total of 17, which will lose to your hard 18 when you stand. This is enough of a factor that it completely changes the strategy compared to "neighboring" sixes and eights on a strategy breakdown.